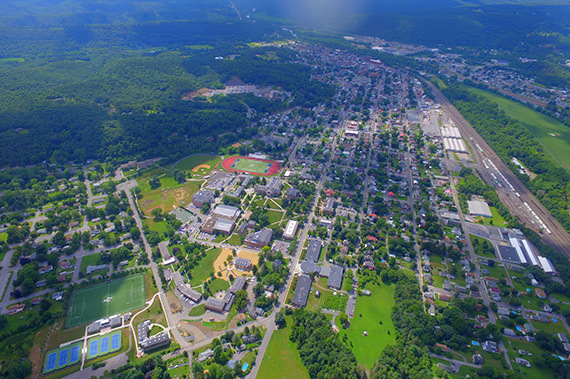 Huntingdon, Pennsylvania, offers a host of recreational spots in close proximity to Juniata College. Downtown, there is an intimate, first-run movie theater, several restaurants and cafes, a bowling alley that offers Cosmic Bowling on weekends among others. Huntingdon is also home to Raystown Lake, a favorite vacationing spot for many families which offers boating, swimming, hiking, biking, and many other outdoor activities. Raystown Lake is just one of the many outdoor recreation areas within a short distance of Juniata College.